Home >Teams Item > Christine M. Allen, Esq. Christine M. Allen is an attorney in the firm’s Trust & Estate Planning Department. She is a California State Bar Certified Specialist in Estate Planning, Trust and Probate Law and has more than a decade of experience in this field. She represents trustees, beneficiaries, institutional clients and individuals in variety of trust and estate matters. Her practice focuses on trust and estate litigation, estate planning, probate, trust administration and conservatorships. Trust and estate matters involve significant and often difficult decision-making. 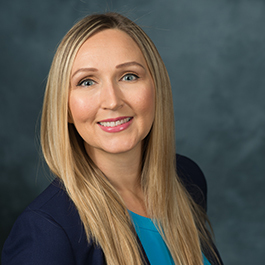 Ms. Allen understands the complexities of the family relationships often involved in these matters and strives to guide clients through the legal process with attention to both the client’s legal and personal goals. Ms. Allen has a broad knowledge of probate, trust and conservatorship law and procedure and offers a results-oriented approach, in order to provide her clients with a direct, honest and realistic assessment of their legal matters. She enjoys aggressively pursuing clients’ rights in litigation in order to secure favorable outcomes for clients. Some examples of Ms. Allen’s trust and probate litigation practice include representation of parties in will and trust contests, petitions for fiduciary surcharge and removal, petitions for interpretation of wills and trusts, fiduciary accountings, probate real property sales, petitions to recover property of a decedent, substituted judgment petitions, appeals and more. Recovered a six-figure settlement for a client’s incapacitated elderly mother, which funded a conservatorship established for the mother’s future care. Obtained a court order for a beneficiary that reduced two co-trustees’ attorneys’ fees taken from a trust by $300,000.00, adding this sum back to the Trust estate. Completed a complex trust administration wrought with litigation involving $110 million in creditor claims and only $2 million in assets. Achieved appointment of client as successor trustee, worked with co-counsel to settle multiple creditor lawsuits, brought motions to dismiss barred claims, petitioned for court approval of settlements and closed the administration with full court approval of trustee’s fees and attorney’s fees. With extensive discovery and trial preparation regarding mismanagement of a trust-held business, helped a beneficiary receive a mid-six figure settlement from a trustee just hours into trial. Multiple demurrers sustained without leave to amend, effectively ending litigation in favor of clients at an early stage. Protected multiple fiduciaries facing potential surcharge by negotiating favorable settlements. Recovered substantial sums for trust and estate beneficiaries in litigation. Successfully defended multiple clients at the appellate level.